There is always a place in the hearts of many for retro items – otherwise, how do you explain the kind of fashion that keeps on coming back from time to time, not to mention timeless classics where music is concerned? 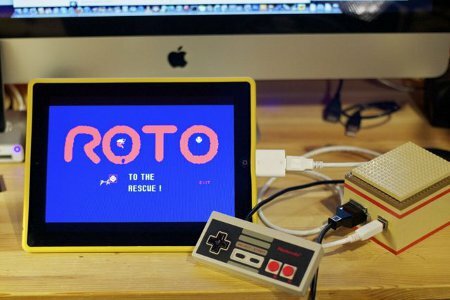 Gaming too, has its fair share of retro fans, and those who love to have a go at old school games on the iPad will probably wish that Santa brought them a physical controller last Christmas instead of having to dabble with virtual keys. You know what they say – if you want something done, then you have got to do it yourself, and this is exactly what Paul Rickards, a self-professed tinkerer, did. He realized by accident that it was possible to tinker around with a homebrew C64 keyboard and an iPad, creating a connection between the two after using an Arduino board to “talk” to the iPad through a USB connection via a V-USB library. This is followed by setting it up for an NES controller, where the only step required was to plug the NES controller into the board, followed by the board being hooked up to the iPad. Voila! iCade games can then be played using a classic NES controller.